BED 5 · BATH 5.5 · SLEEPS 12 · FROM $1.600 TO 3.500 USD PER NIGHT + TAX. This 5 bedroom, 5.5 bathroom home was built for vacationing and spending quality time with family and friends. The layout thoughtfully offers five distinct areas where individuals or groups may find privacy. An uncovered courtyard with comfortable, colorful furniture is surrounded by the three guest bedrooms. The living and dining area is one central area which flows seamlessly from formal to casual. And the full length covered patio is littered with comfortable lounge furniture which is just perfect to get lost in a book or enjoy a glass of wine while telling old stories with friends and family. 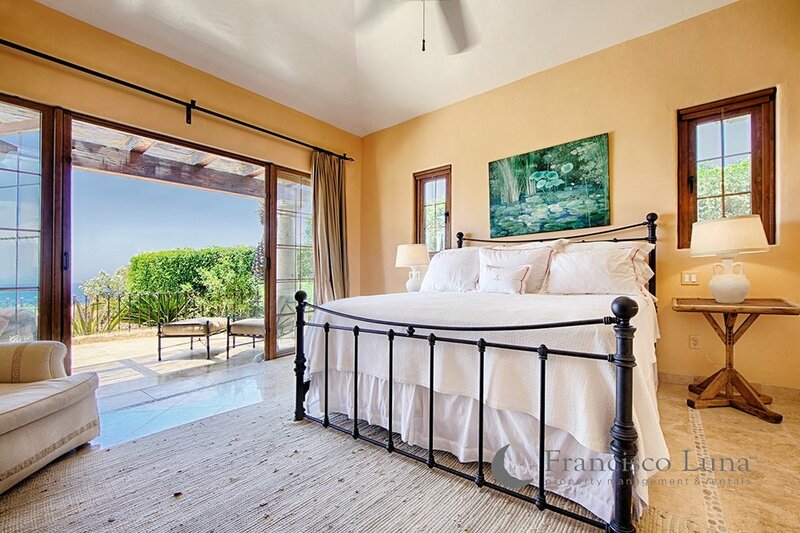 Graciously offering two ocean views Master Suites, Villa Vida Feliz is a king's quarters. The three guest suites are located off of the courtyard in the center of the property and create the perfect environment for family and friends to commune. 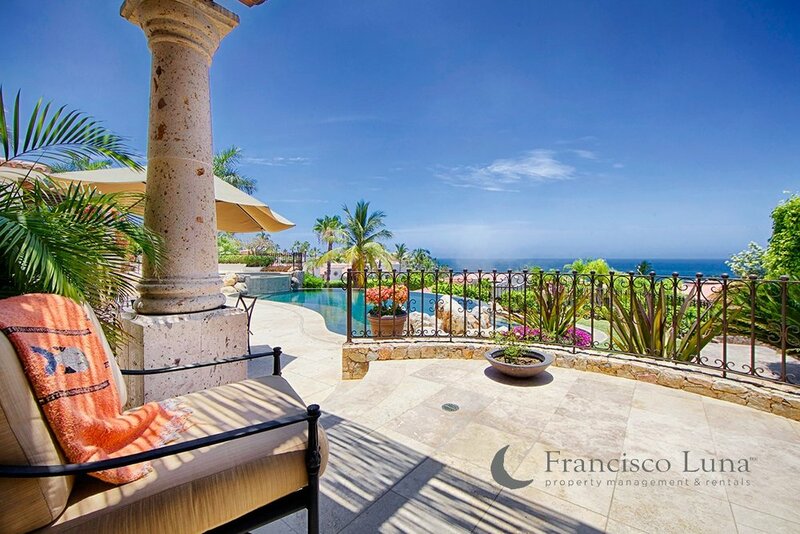 "Villa Vida Feliz should be at the top of your list for a quiet, relaxing, luxurious Cabo vacation".